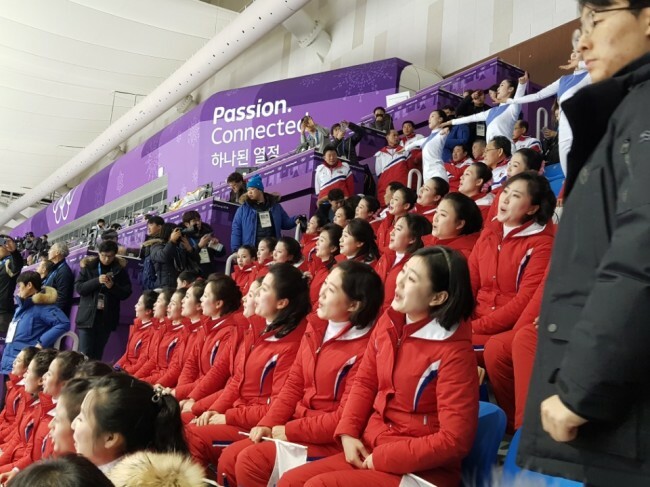 Some 100 North Korean cheerleaders sang in unison for the Korean short track speedskaters competing in the men‘s short track at the Gangneung Ice Arena on Saturday. 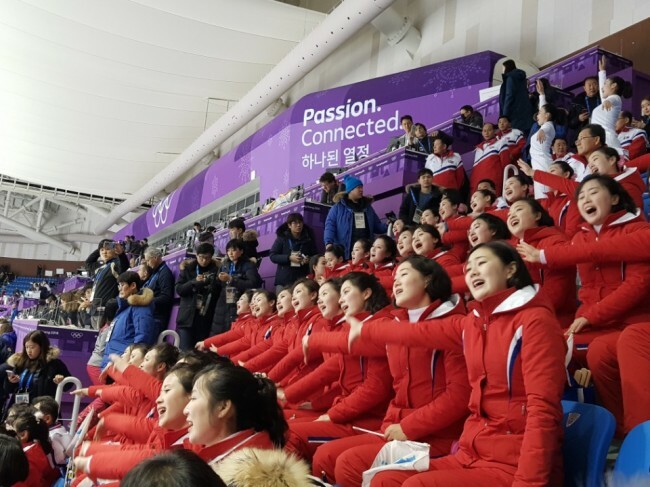 The all-women squad’s collective voice echoed the arena, stealing some of the limelight from the athletes on the ice. Members of the crowd joined in some of the songs and a mexican wave the group started. The songs the squad sang emphasized the Korean people being a single entity and of the same bloodline. 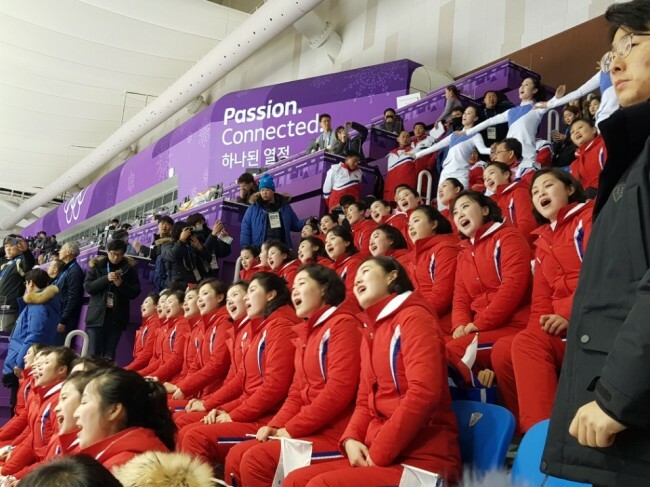 When the squad sang ”Nice To Meet You,“ others in the audience joined the singing and clapped along. Throngs gathered at the foot of the squad‘s section to record videos and take snaps of the rare sight. 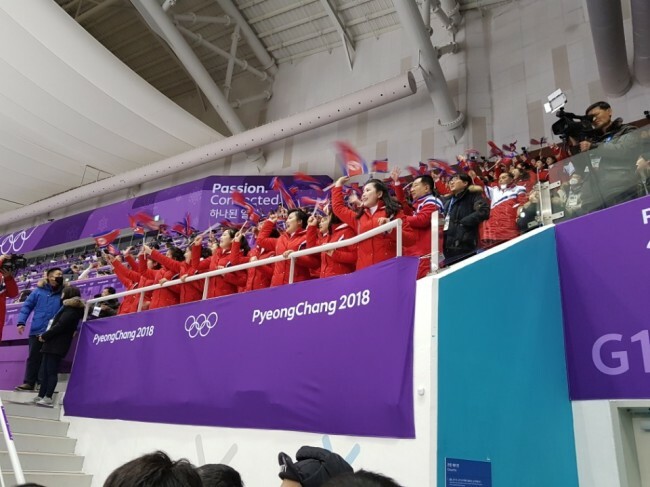 When South Korea's Choi Min-jeong came in first for the ladies' 500 meter heat 8, the North's cheerleaders chanted her name. 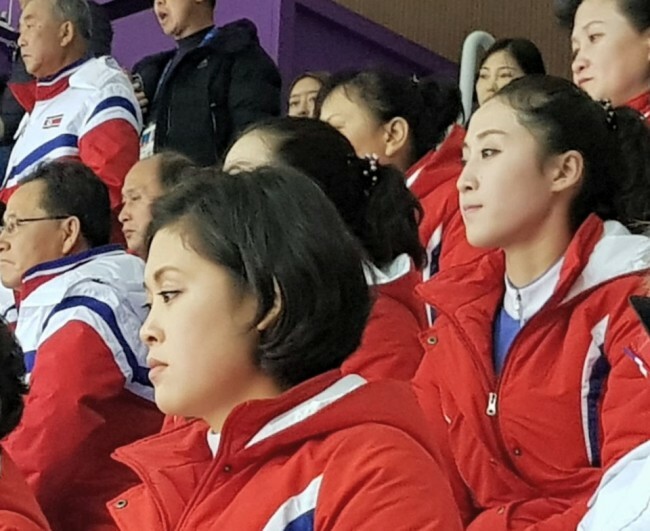 Choi was the last Korean skater to run in the heats, after which the North Korean squad exited the stadium.